Become a paleontologist with 4M! Simply dig and find out which of the mysterious glowing dinosaur is buried inside. 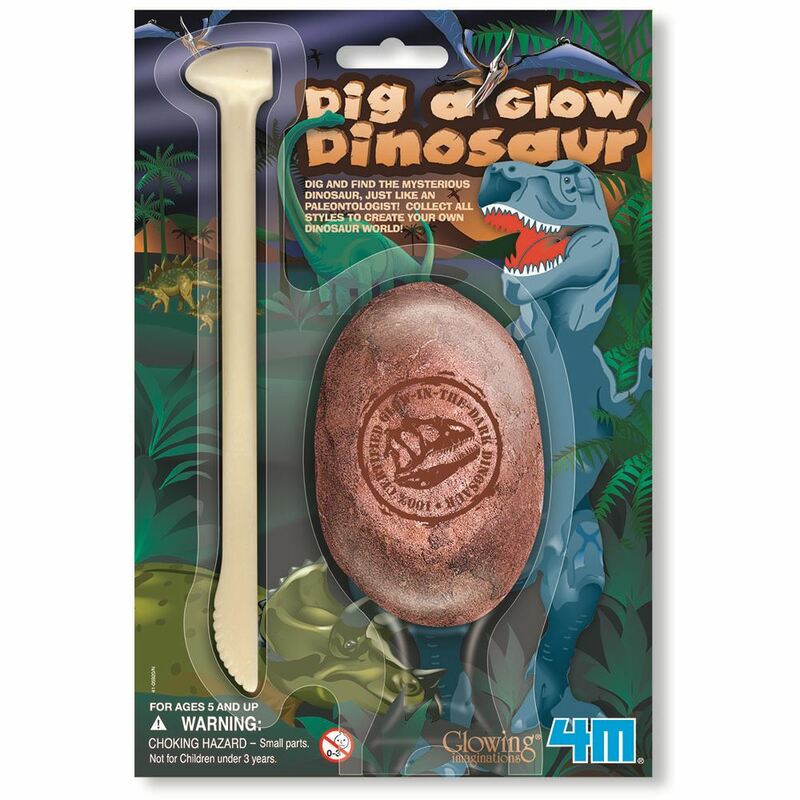 Contains a specially designed digging tool and a glow-in-the-dark dinosaur embedded in plaster. Approximate Dino Fossil size: 80mm tall. Age 6+ years. Part of the KidzLabs range. Distributed in New Zealand by Holdson.